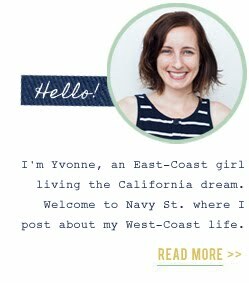 Dan and I sometimes fantasize about living in a rustic home in the canyons with a yard full of chickens. 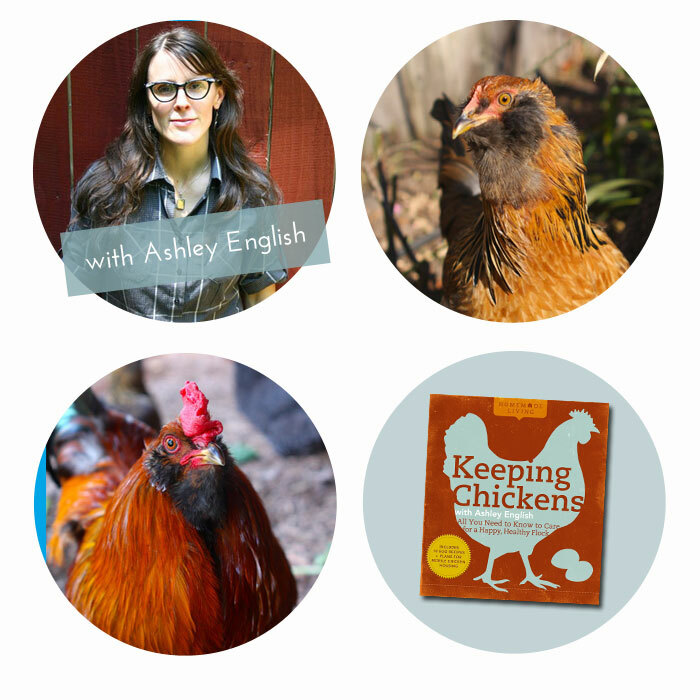 Our recent bird-filled trip to Sonoma inspired me to ask Ashley English, a legit forest-dwelling, chicken-tendering gal and author of four books in The Homemade Living Series (Canning & Preserving, Keeping Chickens, Keeping Bees and Home Dairy), on how to get started raising chickens. I have no backyard here on Navy St., but hey, a girl can still dream! If you want to raise chickens, what should you do first? First, call your local animal control office and check out what's on the books related to ordinances for keeping chickens in your area. What’s permitted varies from one town to the next. What kind of chickens should you get? Ask yourself, do you want eggs, meat or both? Some birds are known for their prolific laying abilities (which can be handy for large families), while others lay particularly pretty colored eggs. Some birds are known for being particularly docile (great for children), while others can withstand cold weather well (great for those in colder climates). Look at the size of your family, your climate, and what you hope to gain from your flock. Do a little research for the right breed for you, and then purchase accordingly. How much space do you need for a chicken coop? Think about the biggest possible flock size you might ever want. I always encourage folks to plan for expansion at the onset. It's considerably easier to have too much space and not need it, than to need it and not have it. Chickens ideally need 4 square feet per bird, so factor that into your coop plans. What's the best part about raising chickens? The eggs! The meat! The fertilizer, and bug patrol! All that chicken poop can sometimes be a bit to bear. It's beneficial for your garden, though, so there's a silver lining in that cloud (er, clump?). Where are some good resources if you want more info? In addition to my book, Keeping Chickens, I'd also suggest Jenna Woginrich's Chick Days, if you intend to begin with chicks. The web site, My Pet Chicken, is particularly helpful, and the magazine Chickens is rife with great information.